How Can I Get Burn Marks Off Marble Countertops? 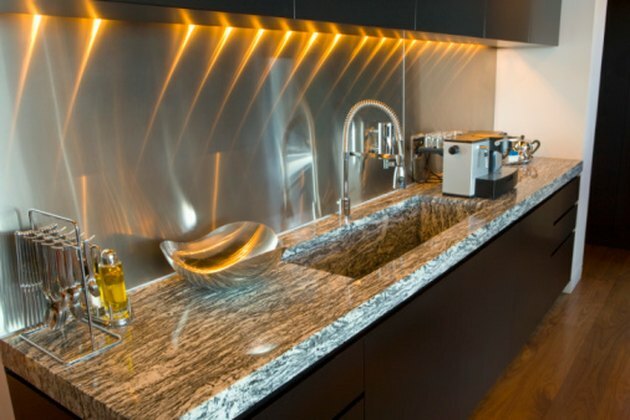 Marble countertops can be a beautiful addition to the kitchen or bathroom. However, marble can also prove weak in resisting stains, and heat damage is no exception. Hot pots and pans, a curling iron, a lit cigarette carelessly placed -- all can lead to burn marks on your marble. If you are lucky, the damage may be little more than surface deep. Poultices are sometimes effective in drawing out the scorch. 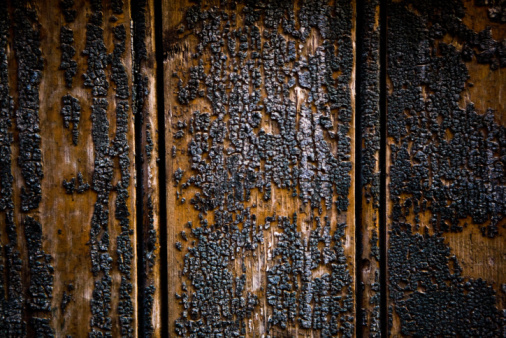 For deep, structural discoloration and damage, sanding may be the only solution. Run your hand across the scorched area of your countertop. If the surface feels smooth, a poultice approach will likely work; a rough surface requires more aggressive measures. Squirt a small amount of toothpaste (non-bleaching only) onto the burn mark. Use a toothbrush, scrubbing vigorously, to work the toothpaste into the stain. Wipe away the toothpaste periodically to see if the mark has lightened. Mix a poultice to lighten more persistent burns. Purchase high-strength peroxide (35 percent, if possible), and pour enough onto the area to puddle over the entire burn mark. Cover the spot with a paper towel (white only) and with enough kitchen plastic wrap to encase the area. Tape down the plastic on the edges using masking tape or duct tape. Let the poultice sit 3 to 6 hours, then lift it. Scrub thoroughly with a toothbrush to work the peroxide farther into the marble. If the stain persists, mix a paste of baking soda and water, and lay a thick layer onto the stain. Cover it with a damp cloth or paper towel, leaving it to sit overnight. The next morning, scrub the baking soda into the counter with a toothbrush. Wipe off the residue, then rinse it completely. How Can I Get Burn Marks Off of Cultured Marble Countertops?